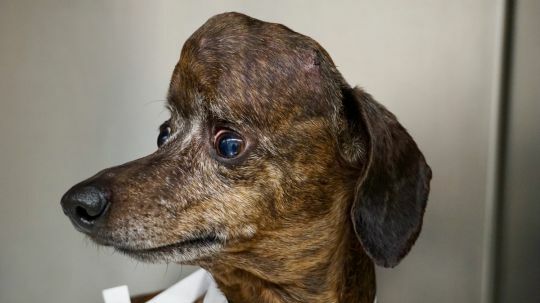 Patches, a 9-year-old Daschund, had an unusually large tumour in her brain which would’ve been fatal if left untreated. 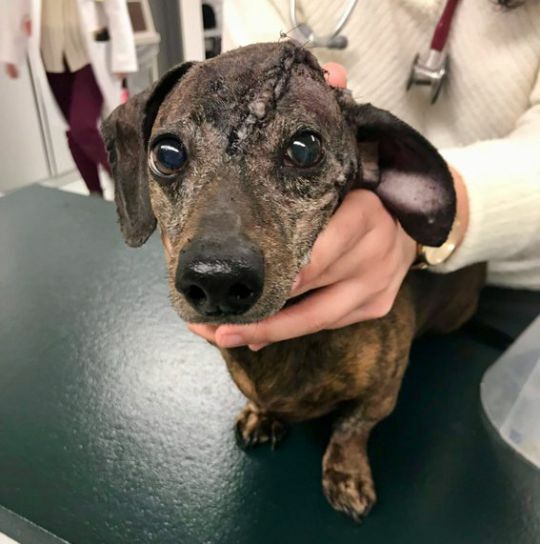 After the aggressive cancer grew to the size of an orange, her owners took her to see a surgical oncologist from the Ontario Veterinary College in Canada. Researchers came together to 3D print a titanium skull and inserted it into Patches’ head. 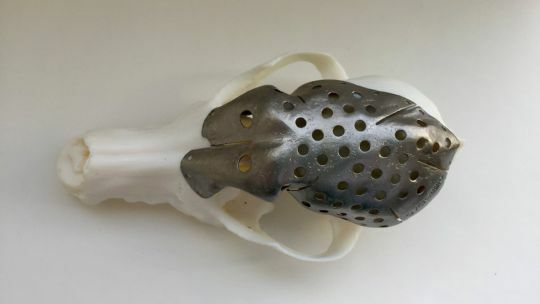 Normally a titanium mesh is fitted in place but the experts used 3D-printing technology to specifically fit the canine patient. Doing so meant removing 70% of Patches’ real skull. After looking at CT scans of Patches’ head, Dr. Michelle Oblak, the surgical oncologist, used technology to simulate the surgery and cut out the tumour virtually. Dr Oblak and her team then mapped out the dimensions of the new skull, including where holes for screws would be. The measurements had to be precise and the operation had ‘very little room for error’, she said. Final images were sent to a medical-grade 3D printing company who created the custom-fit titanium skull cap. After a four-hour surgery where the tumour and most of her skull was replaced, Patches was up and about. A mere 30 minutes after waking up, she started walking and was soon looking for her outside pee break. 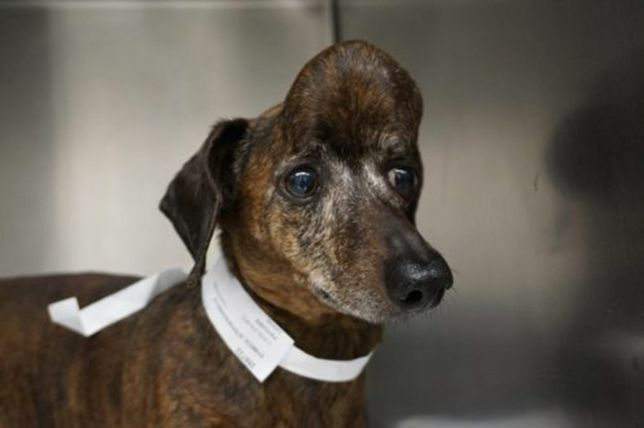 She is now cancer-free and her head shape has returned to normal, though she was left with a crooked ear. Danielle Dymeck, her owner, told Canadian press she was delighted with the process. But she revealed Patches has had some more bad news. After slipping a disc in her lower back, Patches is now paralysed in her hind legs. Patches refuses to use a wheelchair and instead pulls herself forward with her two front legs. If anyone can handle it, it’s Patches.